Do you have the need for speed? I didn’t think I did until I went to the Middle East and had some fun being driven on the sand dunes. But for me, speed is not in my control – as I don’t drive. 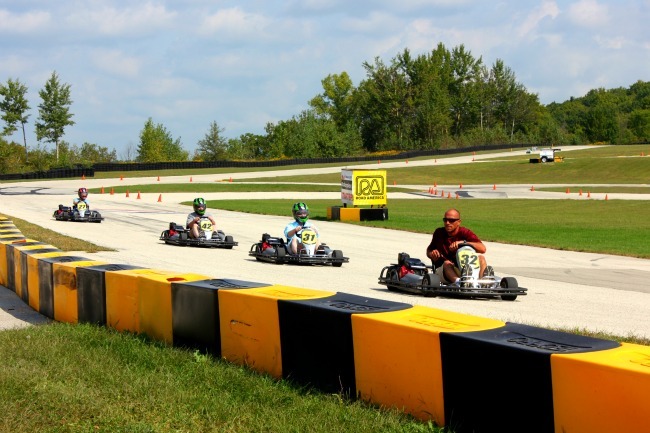 Visiting a place like Road America reminded me of going to the racing oval in Indianapolis – there’s an undercurrent of excitement no matter if the track is busy or empty. As my colleagues divided into groups to try the go-kart track, I walked along the edge of the track, after asking the instructors where it would be safe to take photos. I made my way out into the middle of the track, staying in a safe spot away from the actual track, but close enough to see them start racing and take some action shots. The first lap was slow, to get everyone used to the go-kart and have them follow the rules that had been explained. 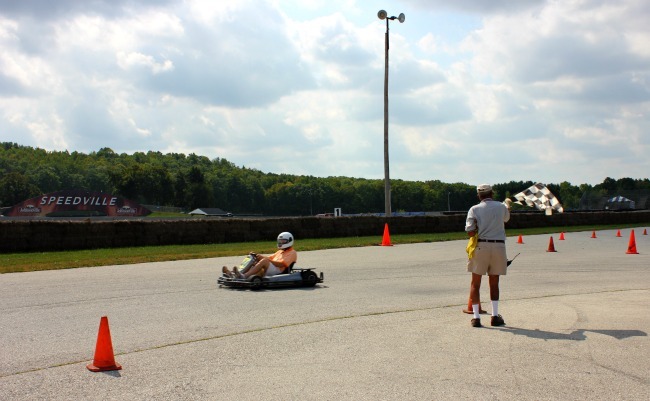 The instructor drove very slowly keeping an eye on the first group as they inched around the track. Then he gave them the signal to speed up and enjoy. And as the group went faster, the speed demons were all of sudden in full force. Some stayed slow, getting faster incremently, while others just hit the gas, going for it. It was fun to see the transformation as they kept going, circling the winding track. On the main track, there were drivers testing Porsche race cars – and as they whizzed by, their energy seemed to spin off into this group. Despite the helmets, it was easy to spot who was having fun – and it showed me, with a group that had a wide age range, it didn’t matter how old or young, the speed demons will show their faces.